The Valencian Community covers a third of the eastern coast of the Iberian Peninsula. More than 500 km of coast bathe the lands of Castellón, Valencia and Alicante, but the Valencian Community is much more than sun, sea and sand. The Valencian Community is characterized by its great variety. Coastal villages such as Altea, Peñíscola, Elche or Calpe, the incredible Columbretes Islands and landscapes like the Peñón d'Ifach provide a special and unique character. Its attractiveness is also evident in a rich cultural heritage where the city of Valencia, the castles of Sagunto and Guadalest, or towns like Vilajoyosa occupy a prominent place. In the capital we cannot miss the Towers of Serranos, the Silk Market or the emblematic City of Arts and Sciences. If you have enough time, it is also worth discovering smaller but charming villages like Requena, Morella or Bocairent. Another of the hot spots of the Valencian Community are its natural landscapes. Kilometers of green areas with a fantastic fauna and flora that reaches one of its moments of maximum splendor with the Natural Park of the Albufera, one of the most important natural enclaves in all of Europe. For lovers of hiking, Chulilla hides the Route of the Bridges, a precious itinerary that culminates in the Charco Azul. Famous for being the birthplace of paella, the Valencian Community has a population of more than five million inhabitants. In summer this figure can reach three times that thanks to the tourists who come to bathe in its beautiful beaches and savor its delicious rice cuisine. 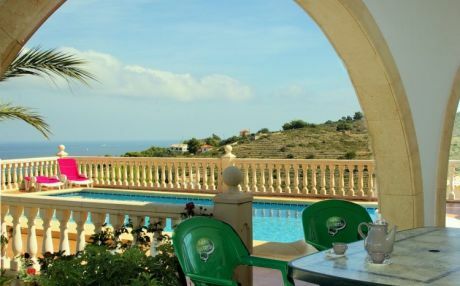 La Concha (Oropesa): with calm waters, the beach of La Concha has a rocky area suitable for diving and is bordered by a pleasant walk that connects with other beautiful coves. 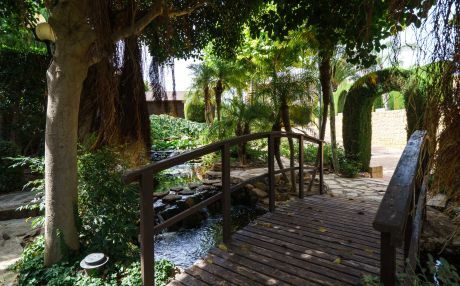 Las Fuentes (Alcossebre): this lovely beach, with fine sand and warm waters, has a particularity that makes it very special, and under its surface there are underground springs that acts as a source of fresh water. Les Urques (Calpe): near the Peñon de Ifach, we find this beautiful cove of rustic gravel, in the middle of a spectacular site. Its crystal clear waters are ideal for a refreshing swim. L'Almadrava (Campello): a beach of thick sand and waters of surprising tones that stands out because it is located in an archaeological site. It is accessed through a beautiful walk along the coast. El Faro (Cullera): the Lighthouse Beach is a cove of sandy and soft sand ideal for sunbathing enjoying the calm and quiet. It also offers a beautiful seabed for snorkeling or diving. L'Estany (Cullera): is a large beach. 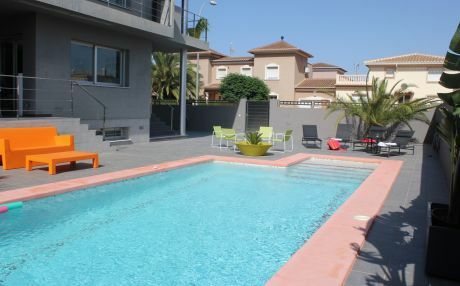 It is surrounded by small coves with jetties and also has the charm of owning a fabulous inland lake. Perfect to go with children and enjoy with the family. La Granadella (Javea): surrounded by pine trees, this semi-urban beach of rocks and gravel offers a marine ecosystem that, under turquoise blue waters, delights divers. El Portet de Teulada (Alicante): With the shape of a shell, Portet beach has shallow depth. It is composed of fine sand and is bathed by crystalline waters ideal for water sports. 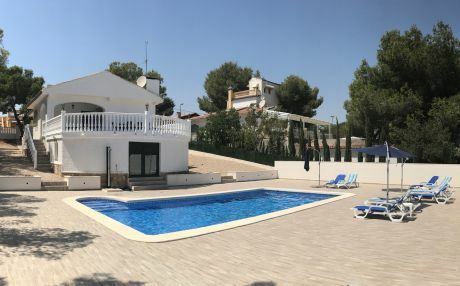 If we are going to travel to the Valencian Community as a group, the best way to discover it is to rent a villa or a chalet with a private swimming pool that allows us to have all the comforts of a detached house. 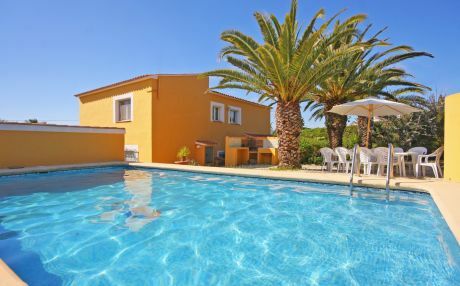 The Valencian Community has many towns and cities with beautiful residential areas where we find holiday homes and chalets. 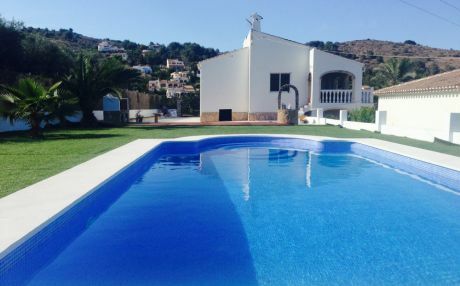 In our website we have a varied selection of villas in the Valencian Community that fit the needs of each group. Make the most of your holiday with your family or friends!